In this chapter we describe the anatomy of a package: the types of files and their organization into various directories. 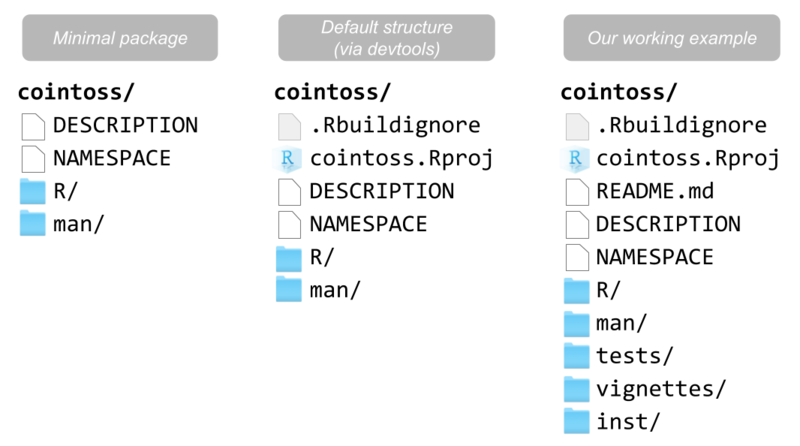 The following diagram depicts three possible (hypothetical) filestructures for a package. From a minimal version, to the default contents created by "devtools", to a more sophisticated structure. 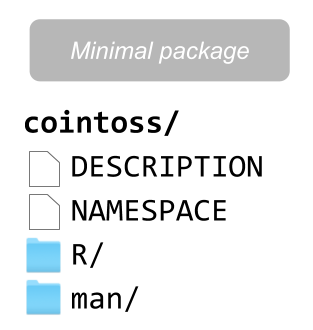 The first option is what it’s considered to be a minimal package. Without any of these four elements, you won’t be able to create a valid R package. 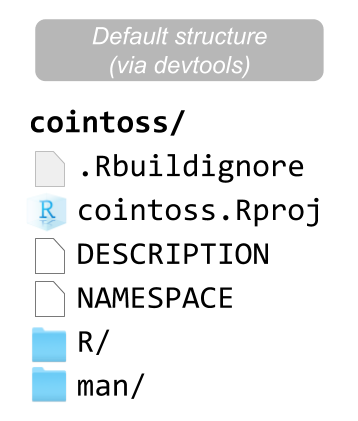 The second option corresponds to the default structure generated by RStudio when you use an RStudio project—via the package "devtools". The third option is the actual structure for our working example. Starting with a default structure, we can add more elements like a README.md files, and directories for tests/ and vignettes/. The extra directory inst/ is generated in the building process. 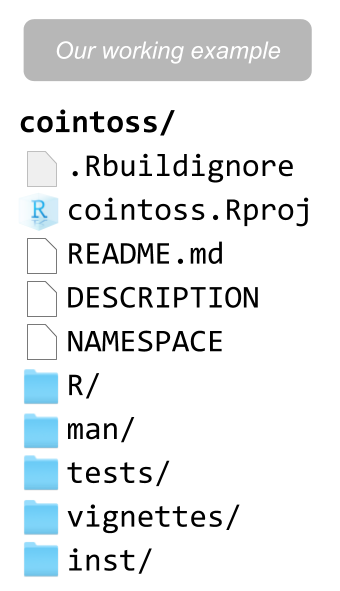 You can add more files and directories to make a more complex and robust package. However, to keep a focused scope on this book we will concentrate on the above structure.